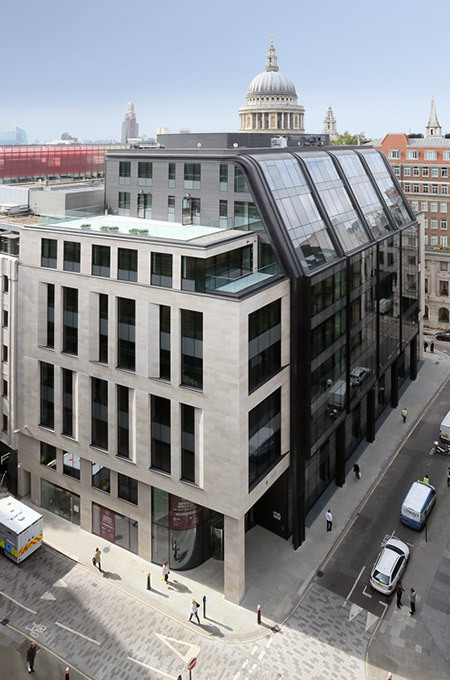 This refurbishment and extension of an existing 45,000 sq ft office building in the city of London delivers 63,000 sq. ft. of prime office space located at a prestigious address close to St Paul’s Cathedral. 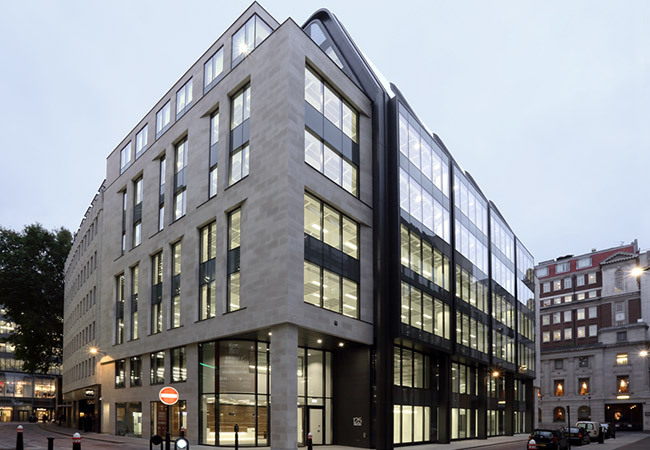 The new development added a façade using Portland stone, a powder-coated aluminium curtain wall and an Anolok anodised aluminium feature pressings. 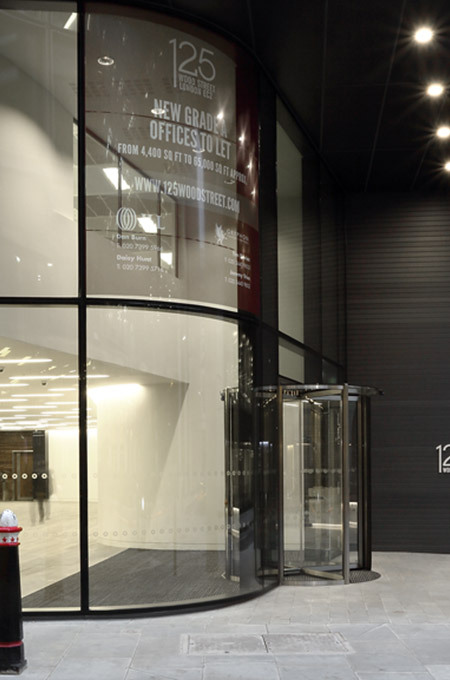 Bespoke rainscreen cladding and steel frame system at the upper floors, curved frame and glass on Goldsmith Street façade and FW60+ SG Schuco curved screen and revolving door at the main enterance. The building was completed in Autumn 2014 and achieved a BREEAM Excellent rating.